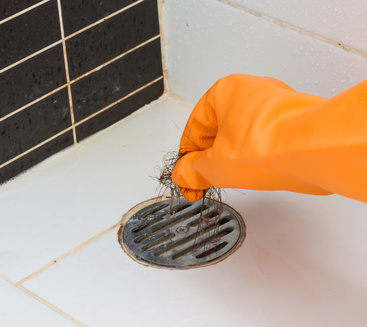 Cleaning out a clogged drain in your Melbourne, Florida home is never a fun task. But it is a necessary one. Clogged drains lead to limited water flow, which can cause some serious flooding. If you’ve just unclogged the drains in your home, there are a few measures you can take to prevent the issue from happening again. With your bathroom sink, the drain has a stopper that just out when it’s not being used. This can make it easy for hair, and other debris, to get caught. A water drop hair catcher has a raised, perforated center that is surrounded by a suction cup. Water can pass through freely, while debris is stopped. The hair catcher can easily be removed to clean. Shower drains are also notorious for clogs. Shower drain hair catchers are tools that catch hair in the drain, before it travels too far. They stay in place for a couple of months, and then can be easily lifted out and thrown away. If you, or someone you live with, shaves over the sink, you are at risk for clogs. All of those pesky little hairs add up quick. A beard trimming mat not only keeps the counters clean, it also keeps the sink drain clear too. Two corners of the mat are attached to the bathroom mirror by suctions cups, allowing the non-stick mat to cover the sink. Clean up is a breeze. Brushing your hair before you take a shower can go a long way in preventing clogs. You will still lose a few hairs during your shower, but there will be much less lost, but it won’t be nearly as many strands if you hadn’t brushed before you hopped in. You can use some of your very own household items to prevent clogs as well. For instance, a dryer sheet can be placed over your shower drain. It acts like a fine mesh filter, preventing hairs and anything else from falling through. This can also be helpful following a bath for a pet. You can place a dryer sheet or a washcloth over the drain before you release the water, so that all of your pet’s hairs are caught before causing trouble. Taking preventative measures to keep your drains clear will help to keep your water flowing freely. In the event you do have a clog, however, and you are having trouble undoing it yourself, be sure to call in your local Melbourne, Florida plumbers, who will help you to prevent serious water damage in your home.